Markets present many opportunities to snap a photo that tells a split-second story. 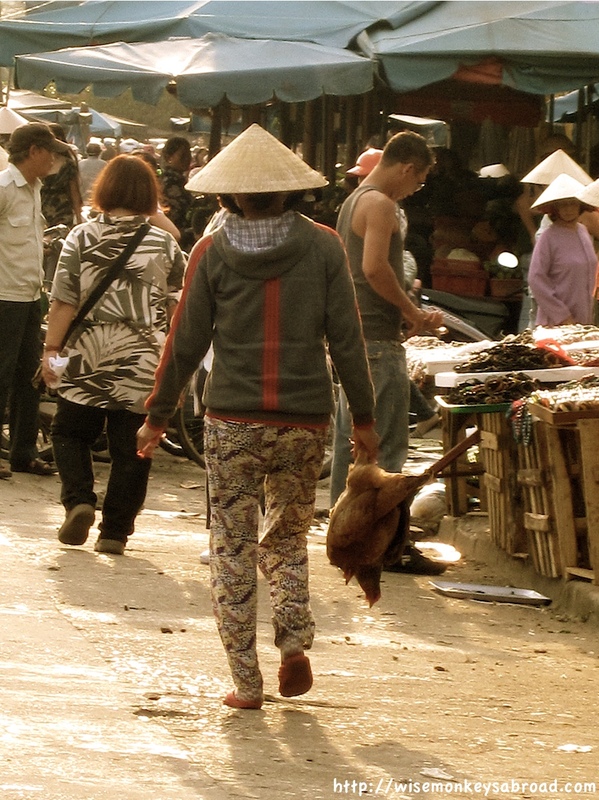 For the weekly photo challenge, we are sharing a photo we took while in Hoi An back in 2012. This entry was posted in Asia, Vietnam, Weekly Photo Challenges and tagged Hoi An, markets, photo, Photography, story, Vietnam, Weekly Photo Challenge. Can you hear the words in the TV ad “I feel like chicken tonight”? 😉 Great shot, as we have come to expect. What a great picture!! The cone hat signals Vietnam!! It certainly does! Thanks for your lovely comment! Thank you 🙂 We found this challenge particularly difficult but we found this one photo we thought might work!